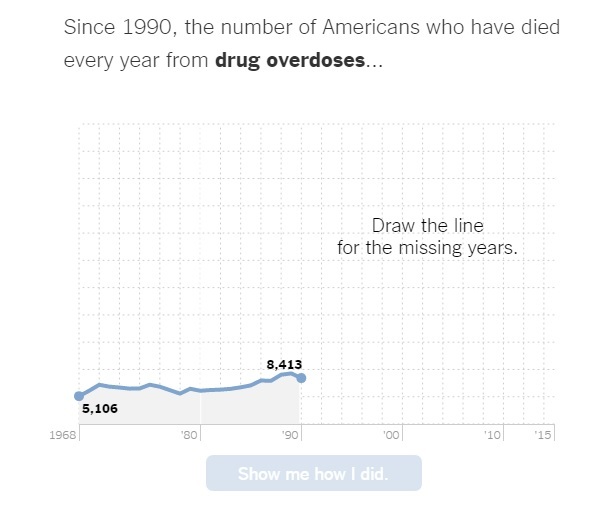 Today, they’ve published a new one, You Draw It: Just How Bad Is the Drug Overdose Epidemic?, which lets you compare the number of Americans who have died of drug overdoses to the numbers who die from other causes. It’s engaging – and depressing. You might also be interested in A Collection Of “The Best…” Lists On Infographics.